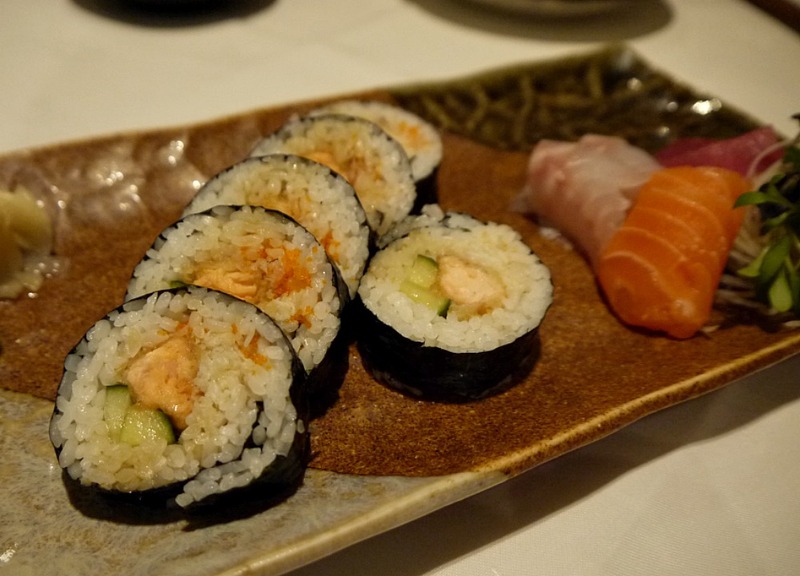 Finding a good Sushi restaurant in Hampshire can be quite difficult unless you don't mind the usual chain restaurants. 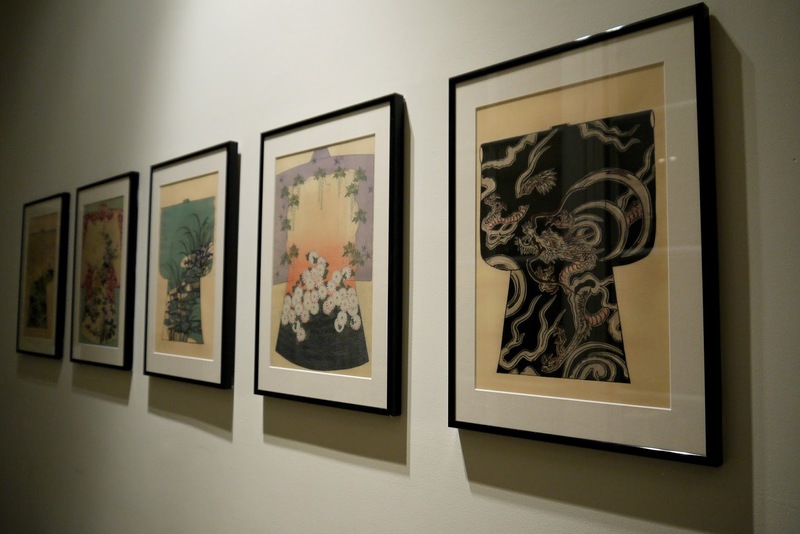 I recently visited Kyoto Kitchen in Winchester last month and was absolutely blown away by the quality of the food they served. 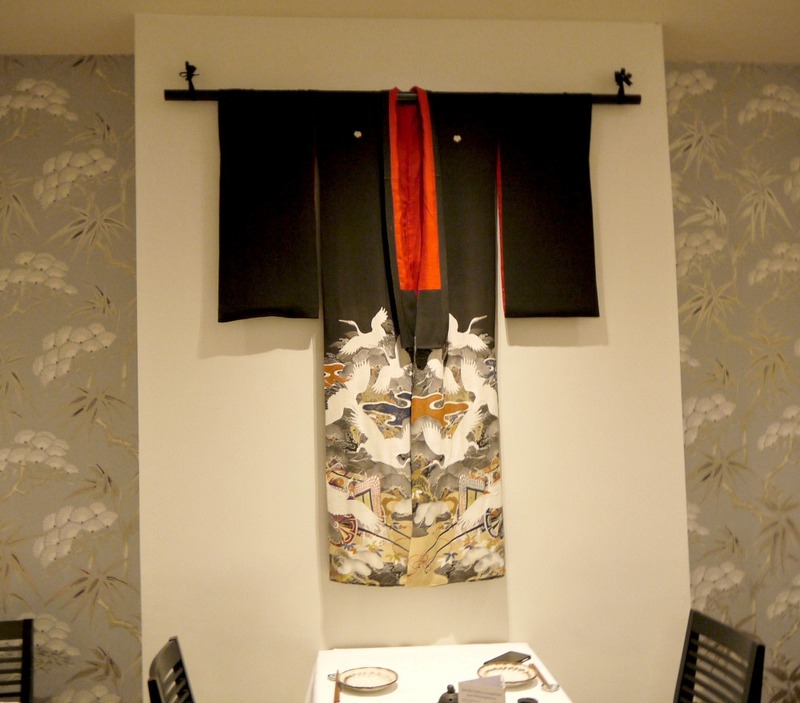 If you have been a reader of my blog for a while you would remember the post from last year at Aqua Kyoto (read here) in London and you would know I am a massive fan of Japanese food. Kyoto kitchen is well hidden so unless you know the area well or you do some google searches then you will not likely to have walked past this restaurant. Minimal decor and seating makes this place very warm and inviting. The owner kindly created a tasting menu for the 3 of us and I will take you through each of the courses that were finely prepared by the chefs that evening. 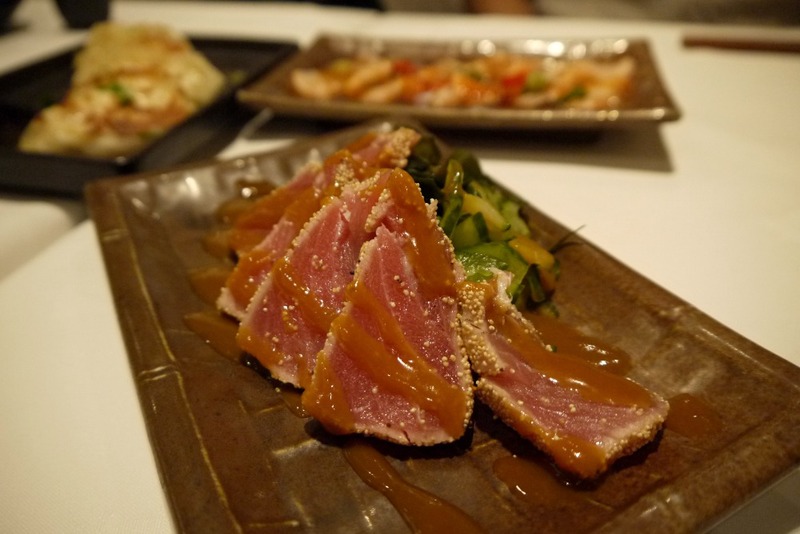 First up was a mixture of starters to get us going - seared salmon sashimi with ponzu citrus dressing and we all know ponzu goes very well with salmon so it was very good. 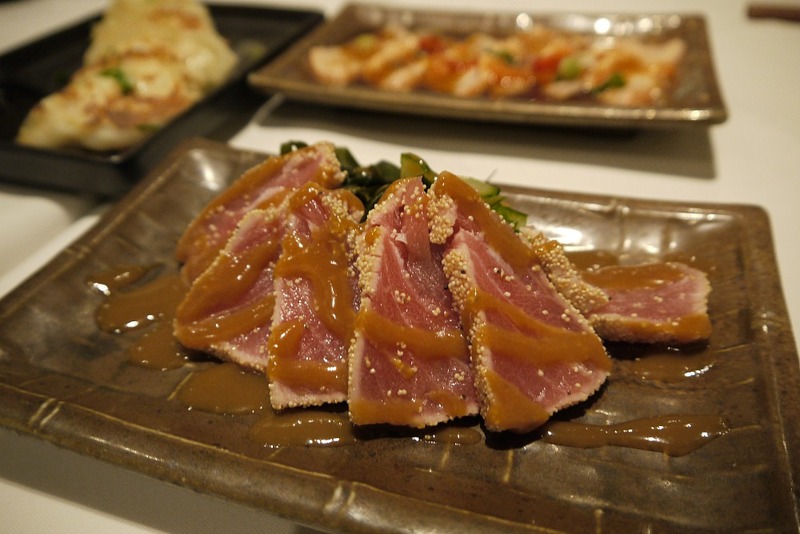 Poppy crusted tuna sashimi served with seaweed, sweet miso and mustard sauce. The poppy gave a good crunch which was a little unusual but enjoyable. Home made Gyoza Chicken and we all know home made just simply tastes so much better. Last year I shared a post on making them with a slight twist by adding in pink lady apples - you can read the post here. 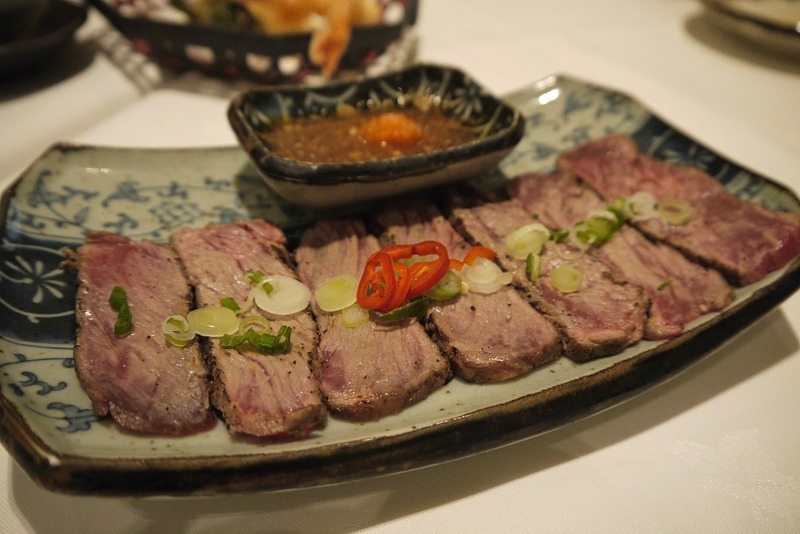 Then next up we have standard Ebi Tempura lightly battered then deep fried and Beef Tataki Carpaccio which is a sirloin cut served with a dippy sauce made from tangy homemade ponzu, chilli, garlic and coriander. The sirloin was very tender and soft to eat we all really enjoyed this dish. 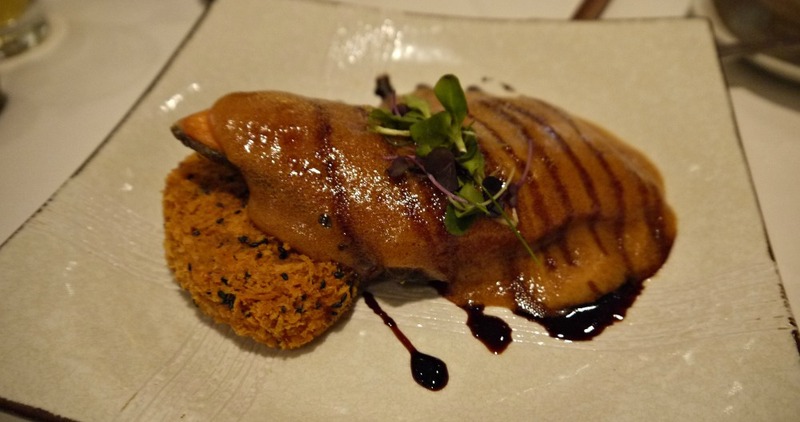 This next dish was certainly something different for us all and one of the chef's specials. I have been told by the owner the chefs love to experiment with different ingredients in creating specials to keep things interesting in the kitchen and this is what I love about this place. This dish is Japanese tea smoked arctic char with shiso pate, goji berry and yuzo / orange marmalade on sesame flat bread. 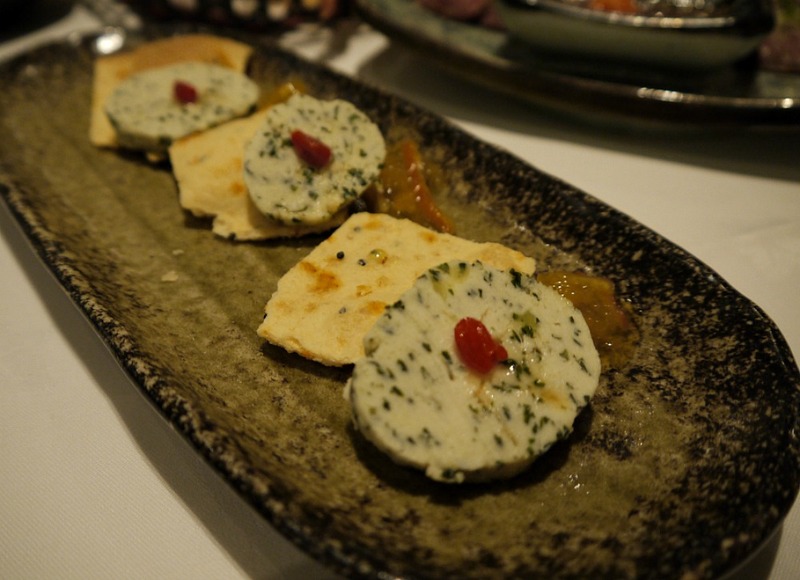 I really enjoyed this dish, the marmalade goes so well with the pate and flat bread. It's certainly different and not something I have eaten before and first time trying arctic char fish. Grated wasabi is so delicious very light yet the taste isn't as strong as your average powered wasabi you get in restaurants. 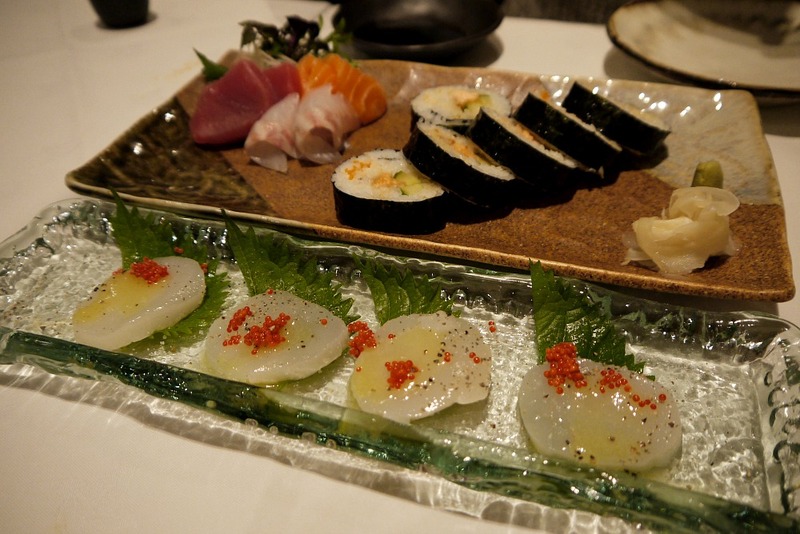 The first time I tried it fresh was in a Sushi restaurant in the Cayman Islands at the Ritz Carlton hotel. 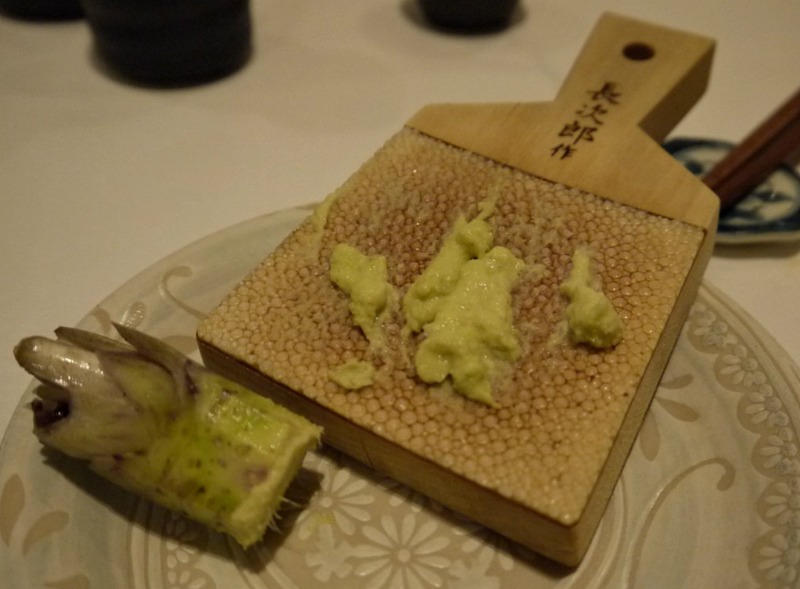 I love watching it being grated on shark skin and we were grated some to go with our sushi which was lovely. Scallop sashimi with fresh yuzu dressing and shiso leaf. The scallops were very sweet but I wouldn't eat it with the shiso leaf but that is just personal preference because I felt it interfered with the sweet tasting scallop. I generally prefer the shiso leave lightly battered then fried so it's nice and crispy, We were also given a serving of prawn tempura sushi with some crab meat and cucumber and a side selection serving of sashimi. Now let me introduce you to the Wincester roll the world’s first sushi roll to use wasabi leaf instead of seaweed, their creation uses wasabi from Europe’s only wasabi farm in Winchester as well as their renowned locally smoked trout. 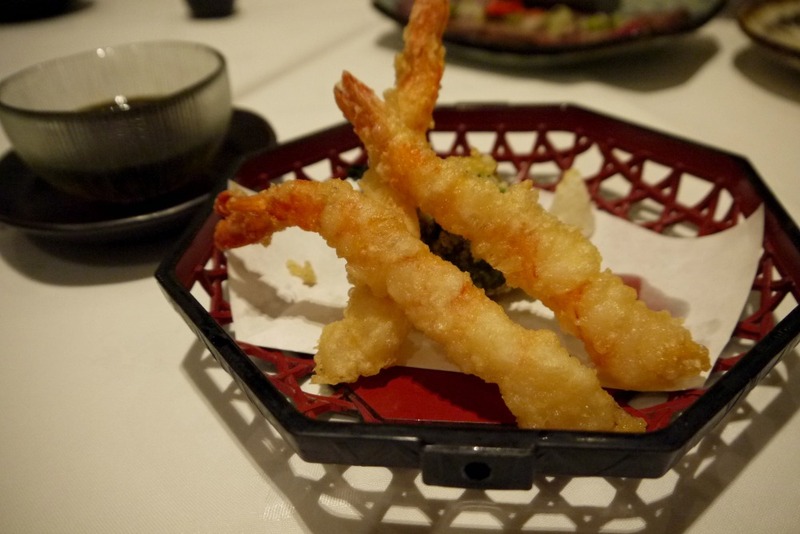 This dish consists of crispy wasabi leaf tempura and fresh wasabi to grate. Very unusual and it had clearly taken a bit of time to make! 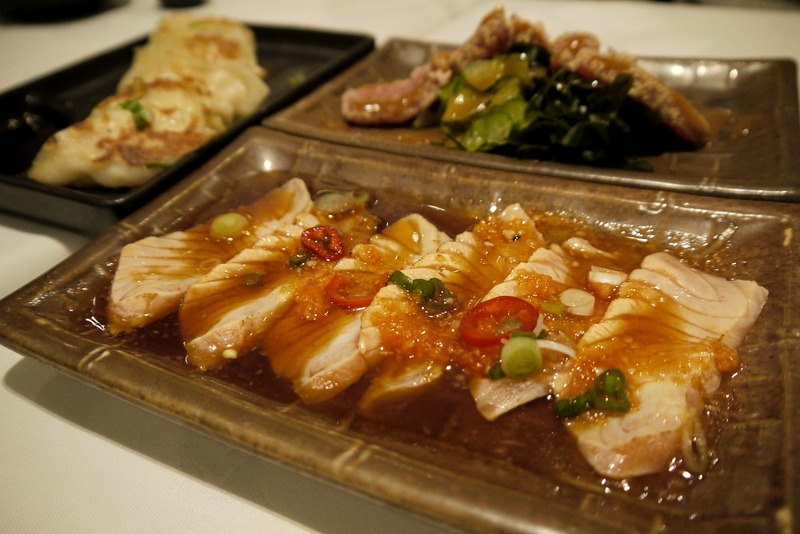 On to our mains we were served Gin Dara which is grilled black cod marinated with either Sweet or Miso, Salmon Miso Teriyaki served with miso teriyaki sauce and golden potato cakes and a bowl of garlic rice. 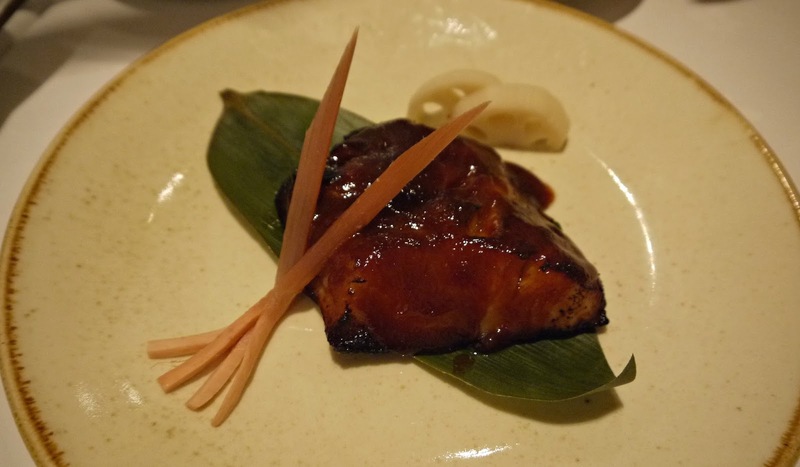 If you have't tried black cod you must if you ever see it presented on a menu, it's incredibly smooth and it's nothing like your regular cod - just try it! 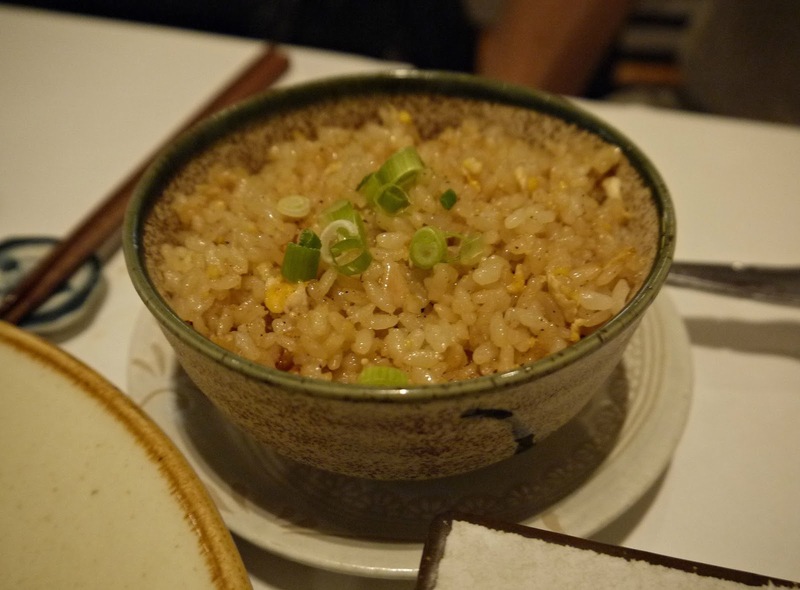 We were served garlic rice to go with these 2 delicious dishes - never had it before and I would definitely be re-ordering this again. Sadly that was the end of that meal and we all left with a full belly! If you are in Winchester I would highly recommend this place especially those sushi enthusiast. 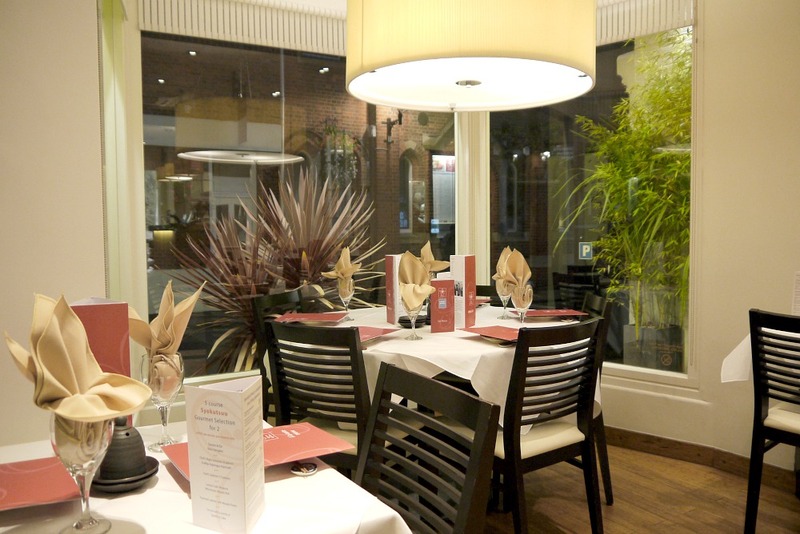 The food was excellent quality and their set menu's are great value for money in particular the lunch set menu's and I would highly recommend this restaurant. We visited on a Monday evening and they were pretty full for a Monday evening. I cannot wait to go back for lunch with Nicole and do a bit of christmas shopping.